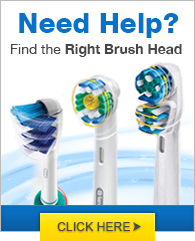 The Oralb D12523 has many exciting features for users of all types. You can extend the lifetime of your Oralb D12523 with the purchase of a FactoryOutletStore Factory Protection Plan. 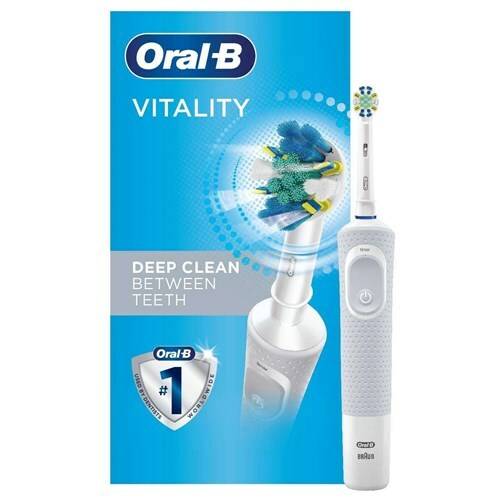 See the Oralb D12523 product video above for more details. FactoryOutletStore stocks a full line of accessories like BreathRx Antibacterial Mouth Rinse, BreathRx TongueScraper, and BreathRx Whitening Toothpaste for the Oralb D12523. 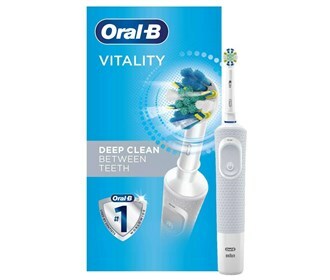 The Oralb D12523 is sold as a Brand New Unopened Item. Me and my family has been using the Oral-B® Vitality™ Floss Action rechargeable power toothbrush for the past one year, but not once has any of us faced any problems. I have a 2 year old son who is very naughty & I was always worried he may try to throw my power toothbrush into the water. That's the reason I preferred to buy the Oral-B® Vitality™ Floss Action rechargeable power toothbrush, that comes with a water resistant handle so that I no more have to worry about my kiddo!